No, sadly, not me! 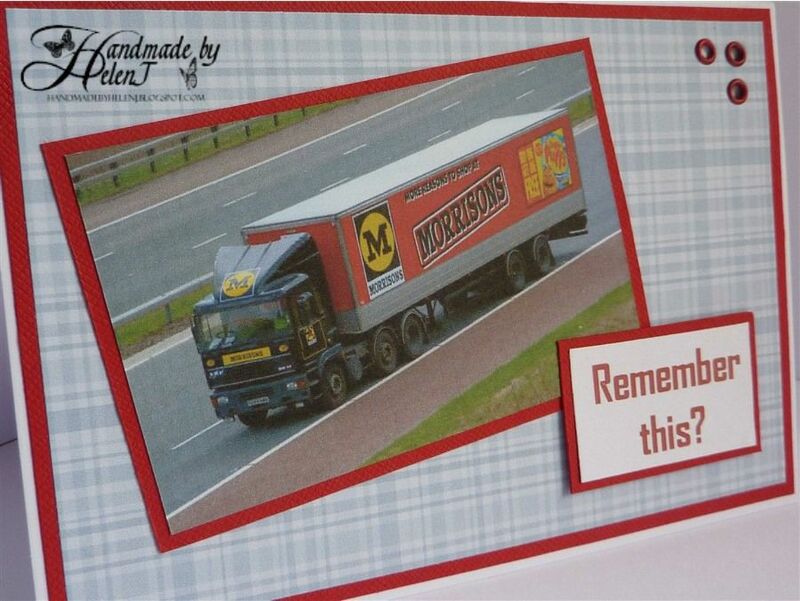 One of my husband’s relatives has driven Morrison’s lorries for a number of years but yesterday he finally retired. 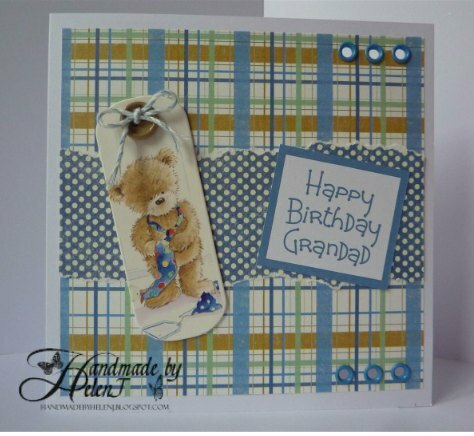 Picture as detailed above, backing paper from Docrafts Digital Designer, card & eyelets from stash. 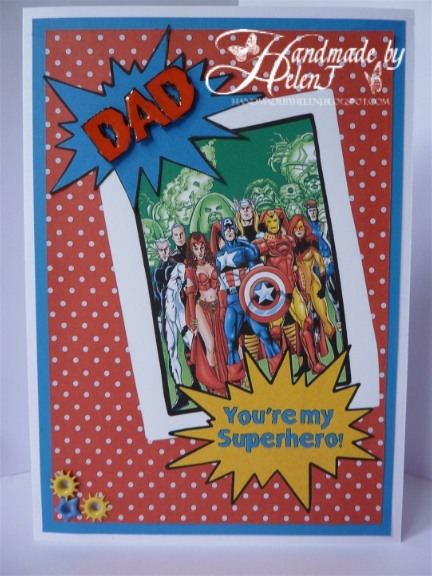 Today is Father’s Day in the UK, and one of my husband & son’s favourite pastimes is watching superhero films so that had to be the theme for this year’s card. 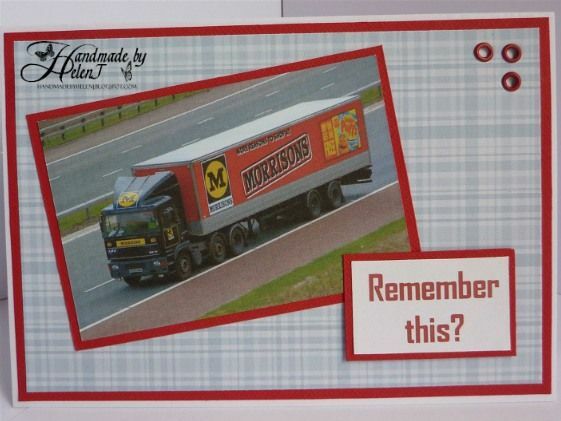 Most of this was created in Craft Artist Professional using the Comic Book digikit and an image from the internet. 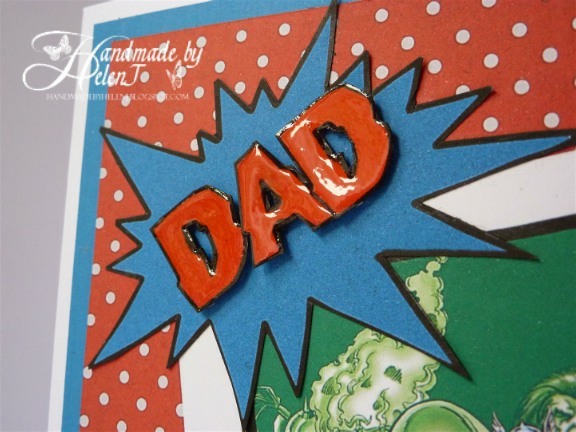 To add a bit of dimension I cut out the letters to spell Dad then used Anita’s 3D Clear Gloss, and although it took me 3 attempts to get it right I felt the finished result was worth it. The eyelets were from the original kit which came with my Crop-a-dile and proved to be a lucky find as they were a perfect match. 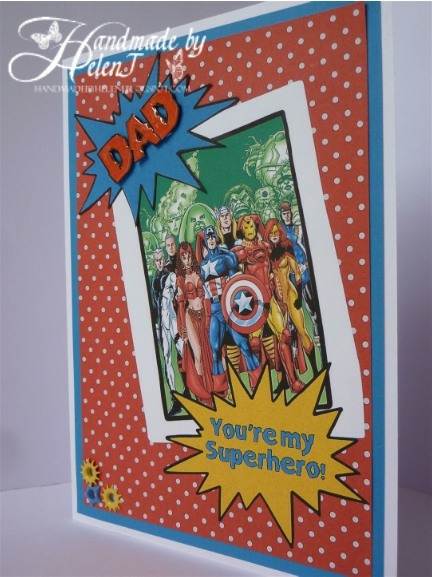 Supplies used: main image from internet, Comic Book digikit used with Craft Artist Professional, backing paper coloured matched in CAP, brads from Crop-a-Dile kit. Chipboard tag free with a magazine, Personal Expressions baker’s twine, button from stash, Trimcraft backing papers, eyelets came with Crop-a-dile.